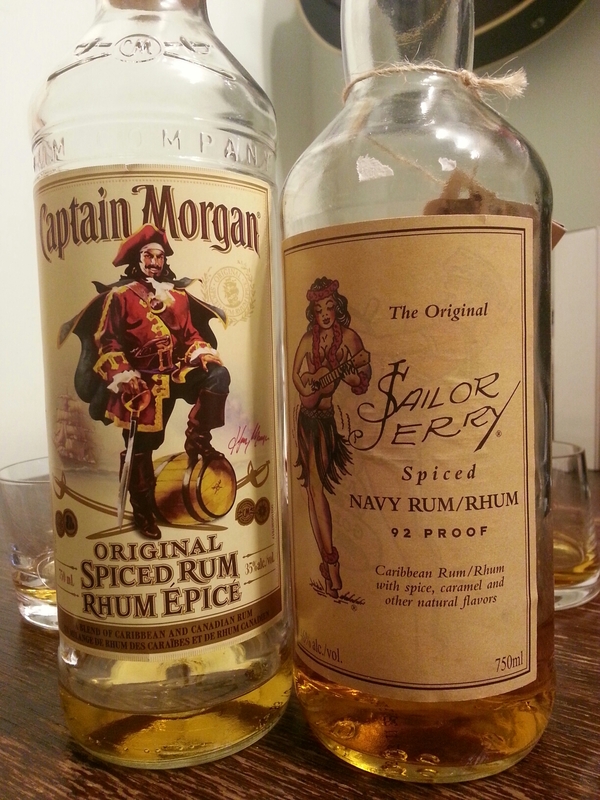 Spiced Rum Round 1 – Captain Morgan Original Spiced VS Sailor Jerry Spiced Navy | Justintoxicated. The first bottle-vs-bottle this year, let’s get more in that we did last year! Here’s one that I’ve been curious about, spiced rums. Because every distillery has their own secret blend of spices, I’d like to find out which brand I prefer in addition to evaluating their base product. 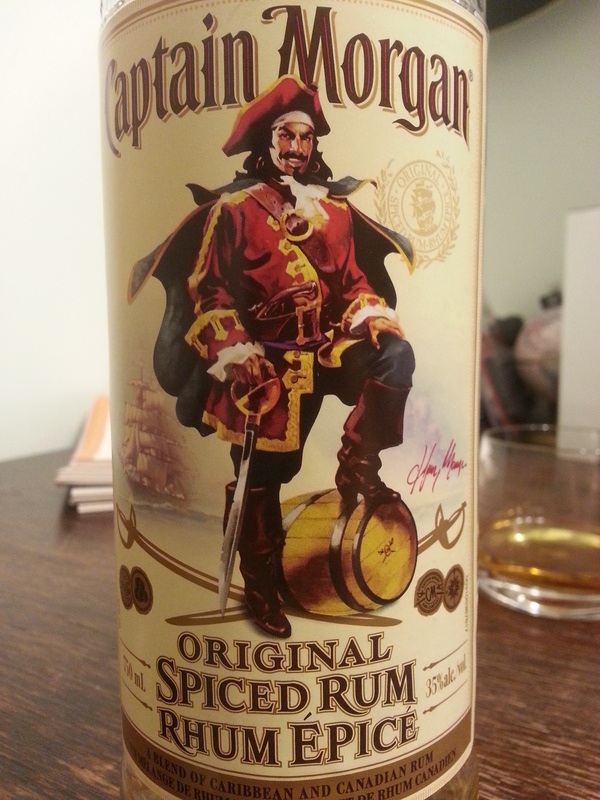 Captain Morgan (CM) consists primarily of vanilla and augmented by caramel’d cola/root beer notes. Low-med alcohol detection. 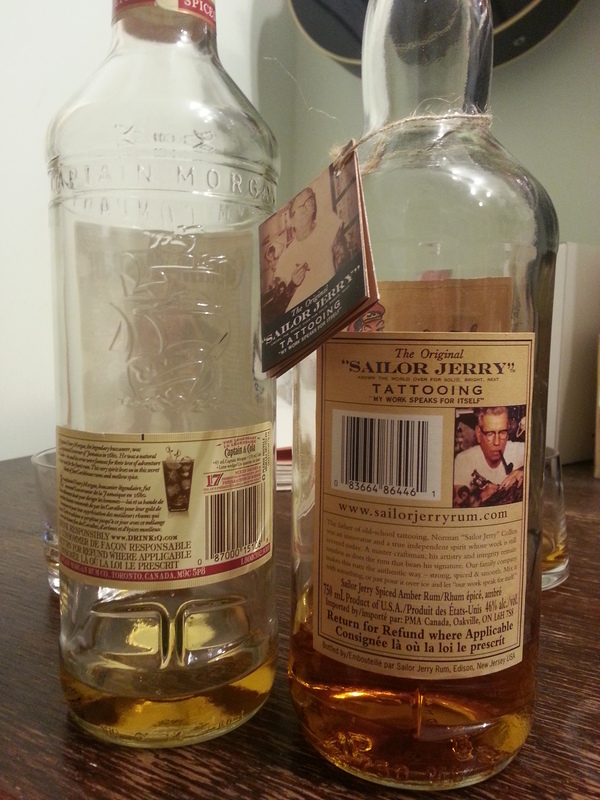 Sailor Jerry (SJ) has a much meatier molasses-caramel character but much more aggressive nasal burn alcohol detection, no doubt due to its higher ABV. CM = mellow vanilla BM = nasal burn thick caramel. CM for ease of mixing due to less alcohol detection. CM is very thin on the palate, just slightly thicker than water and with a bit of oil. The Captain brings forth a lot of vanilla, nutmeg, cinnamon, and light caramel backbone. Alcoholic heat is on the high end and goes down to the throat, leaving the top and sides of the tongue medium numb. The Sailor is definitely thicker. Almost immediate tongue numbness after the initial few seconds, caramel, nutmeg, sharp alcoholic heat, intense throat numbness, vanilla-caramel exhale. 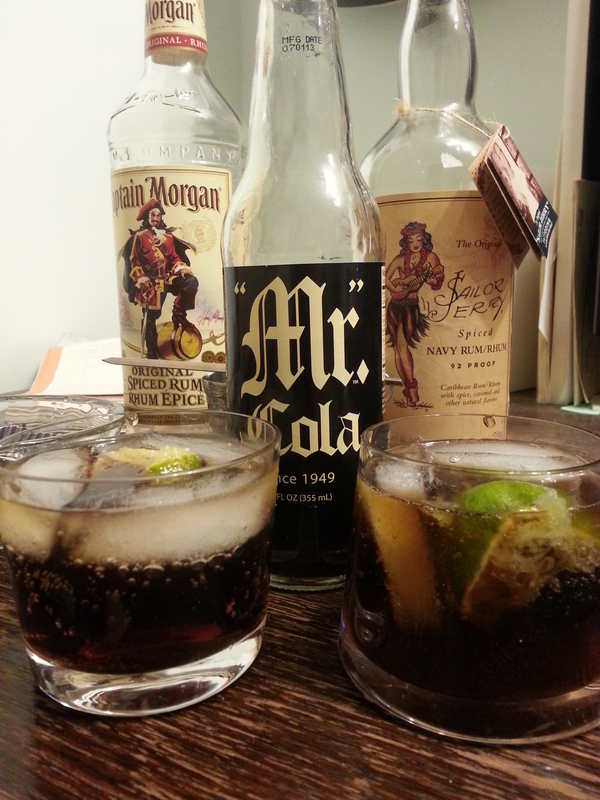 Captain & Coke is very smooth with mildly enhanced sweetness, cane sugar, lime juice profile. Jerry & Coke is not quite a smooth but with more malty caramel, lime peel bitterness, and light alcohol hit in the finish. Captain Morgan for a smoother, sweeter, stealthier cocktail. 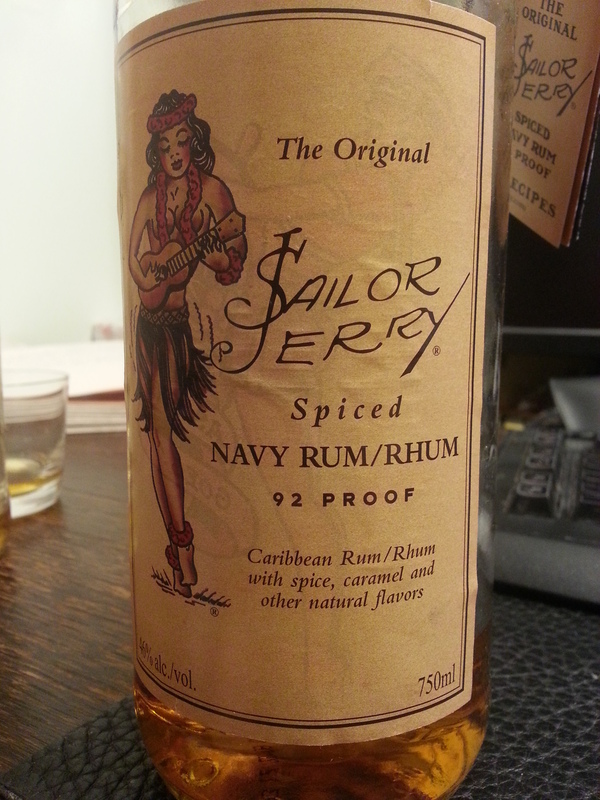 Sailor Jerry for a richer, caramel, alcoholic beverage. Neither as sippers. CM too light. SJ too rough.